Net neutrality rules established under the Obama era were officially repealed today following a vote last month by the Republican-led Federal Communications Commission (FCC). The decision comes despite efforts by members of Congress, state officials, tech companies, and advocacy groups who have fought to reverse the agency’s decision for months. Net neutrality was designed to prevent internet providers from blocking, speeding up, or slowing down access to specific online services. To do away with it, the FCC’s order had to be approved by the Office of Budget and Management. Upon receiving the order last month, FCC Chairman Ajit Pai noted that removing net neutrality would be the end of burdensome internet regulations. “Now, on June 11, these unnecessary and harmful internet regulations will be repealed and the bipartisan, light-touch approach that served the online world well for nearly 20 years will be restored,” Pai said in a statement at the time. Despite the decision on net neutrality, government officials are continuing the fight in hopes of repealing the decision. Last month, the Senate voted 52-47 in favor of keeping net neutrality, but the vote was mostly symbolic, as the final decision had to be passed through the Republican majority House of Representatives. Late last week, Senators were sending letters to House Speaker Paul Ryan in the hopes of pushing him to schedule a vote on the issue. Advocacy groups are calling for “mass online actions” to bring the issue further into the public eye and hopefully pressure Congress to act. “It’s an uphill fight,” said Chris Lewis, VP of Public Knowledge, a tech advocacy group that has been urging the House to take action. Individual states have also started taking action against the repeal of net neutrality. More than 20 states have filed lawsuits to stop the repeal, and a number of states have pushed legislation to enforce net neutrality within its borders. 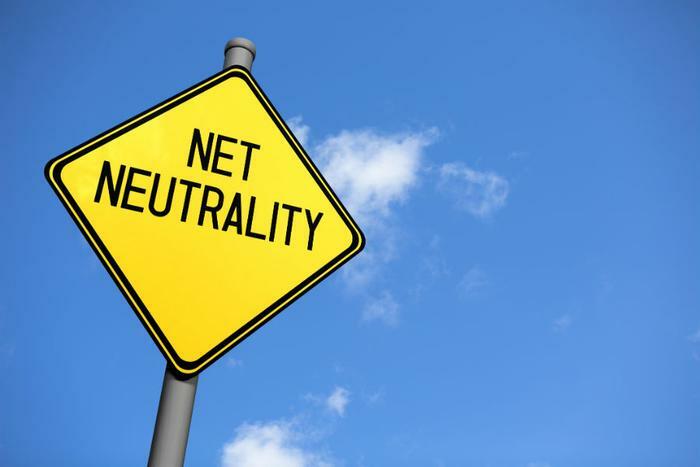 The California Senate announced at the end of last month that it is working to enforce stricter net neutrality laws than what federal regulations require. However, according to the FCC, states don’t have the power to make their own policies. “It’s patently illegal for the states to make their own internet policy,” said Roslyn Layton, a visiting scholar at the American Enterprise Institute who served on President Trump’s transition team for the FCC. Though today marks the end of net neutrality as consumers have known it, supporters of the repeal are adamant that the changes won’t come immediately. The fate of net neutrality is likely to last throughout the remainder of the year, if not longer based on the push for legislation. “We’ll see what happens after the [midterm] election,” Lewis said.